If you are to sell something properly, you must know what you are selling, both its strengths and weaknesses. Only then are you prepared to answer the full range of questions that are likely to be thrown at you by a prospective customer. This product knowledge not only makes you a more effective salesperson; it will add to your credibility as an expert, allow you to consider options in a more informed manner, and will allow you to use your knowledge to direct your sales toward individual needs, attitudes, and interests. A salesperson must know what they are actually selling, in order to sell it. Knowing the features and specifications of a product is the first step in product sales. Study and analyse any product or service that you plan to sell. It is also important to always have a positive attitude and create a good rapport with your client. Your positive approach and friendly ‘public face’ leads to a greater willingness, on the part of a customer, to buy. Your job is to sell and the customer’s role is to buy. This is one simple fact that you should always have in the forefront of your mind, whenever you deal with a customer. This course will help you increase your communication confidence, how to position the products in the store, marketing, the sales steps, upselling, ethics and more. All these skills will result on better sales, boosting your self-esteem. This is a self-guided course- you work through the course at your own time. Enrol any time. Your enrolment will be processed during business hours within a few hours. After your enrolment has been processed, you will receive an email explaining the course and how to access to the study guide, and our help desk. The guide contains both an audio and written explanation of how the course can be studied. Follow the study guide, read and undertake different learning tasks to broaden and deepen your understanding of the subject. These tasks can vary from practicals to research and more. You can select to do as many or as little as you like. If and when you need to; you can contact our academic staff via a help desk. Emails are answered during business hours. At the end of each lesson, you are presented with a series of automated self assessment questions, to review and reinforce your learning experience. Once you have completed all of the lessons, you are presented with a major online exam comprising lots of questions. The exam is assessed in our online training system once it has been submitted. If you achieve a result of 60% or more, you are given access to download a “Certificate of Completion” with your name, together with the current date and name of this short course. Everything is automatic, but if you do need help at any point along your journey of discovery there is a help desk, with real people who have real expertise –only an email away to help you out. This course is designed to all salespersons that want to improve their sales and rapport with their clientele. What can set a business apart from its competition? Not all bricks and mortar retail businesses have to provide a café or the broader ‘experience’ but beautiful, eye catching displays, quality goods and most importantly great sales staff are common to all retail outlets in assuring a brisk trade and a successful business. Not everyone knows instinctively ‘how to sell’ but most people, given drive and a passion for the product, can learn how to be a better sales person. 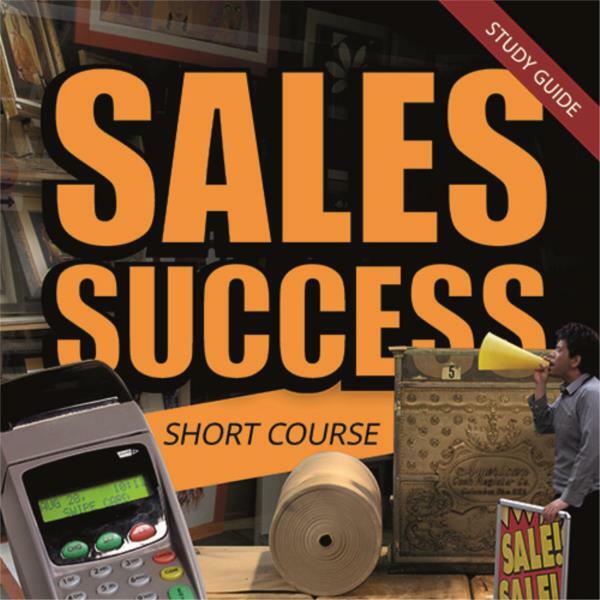 This course focuses on customer service and turning retail staff into great sales assistants. You should have a working knowledge of the policies and procedures set by the business you are working for. If it isn’t volunteered to you, as should be the case - in, for example, a training session - then you should ask. Don’t just presume it will be the same wherever you work; private businesses have different approaches, attitudes and needs depending on the size of the business, the amount of employees that they have, and even their profile within the industry. You should know exactly what you employer expects of you and of the business that they run. The second important thing that you should know about the business you work in is where it positions itself in the market place, because this also influences your employer’s expectations of you and shapes the service (and even the products and services) that they offer customers. Do they view themselves as an exclusive high end personal service type business? Do they view themselves at the lower ‘self-serve’ end of the spectrum? Do they fall somewhere in between? A business owner at the higher end will expect a great deal more professionalism from their employees then those running a business at the self-service end. They may expect you to partake in training sessions and even undertake courses. Make it your business to understand your employer’s expectations so that you can provide the sort of service that they expect.